Save those brunch photos for later in case you've had too many Mimosas. Unlike Snapchat's unpolished zaniness, Instagram's tools and tone skewed users to share more curated photos. But since it didn't save your photos midway through adding the right filters or effects, folks must either entirely edit and share a photo or lose all their changes. No longer. Six years after it launched and a month after testing it with select users, Instagram just gave everyone the "save draft" feature. It's now live on Android and iOS without requiring a new update. As its new help section explains, all you have to do is add an effect, filter, caption or location to a photo, then go back to the edit step and hit the back arrow to prompt the "Save Draft" function. 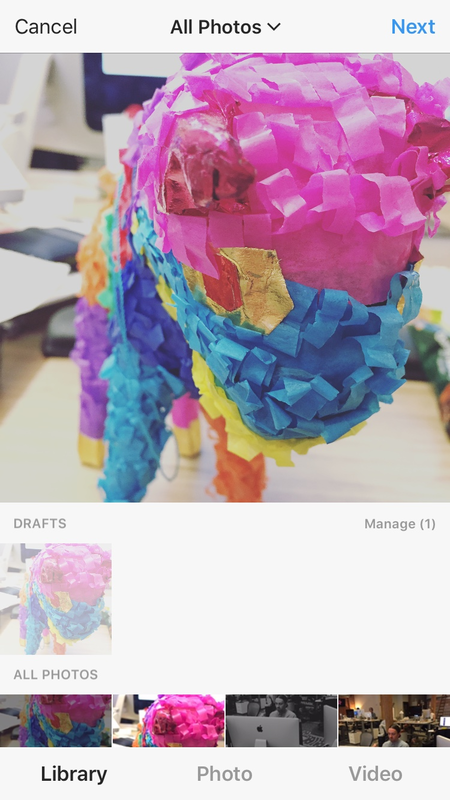 Any indecisive Instagrammer will find it useful, but the biggest benefit might go to social media managers that can now queue up plenty of posts in drafts. If it isn't live on your device just yet, give it time: Like the feature's test phase in August, Instagram is likely rolling out to groups of users at a time.